Martini is such an alcoholic's drink , its a punch you in the face drink - its for the sophisticated drinker . So yeah we will go with that! Has to look good . 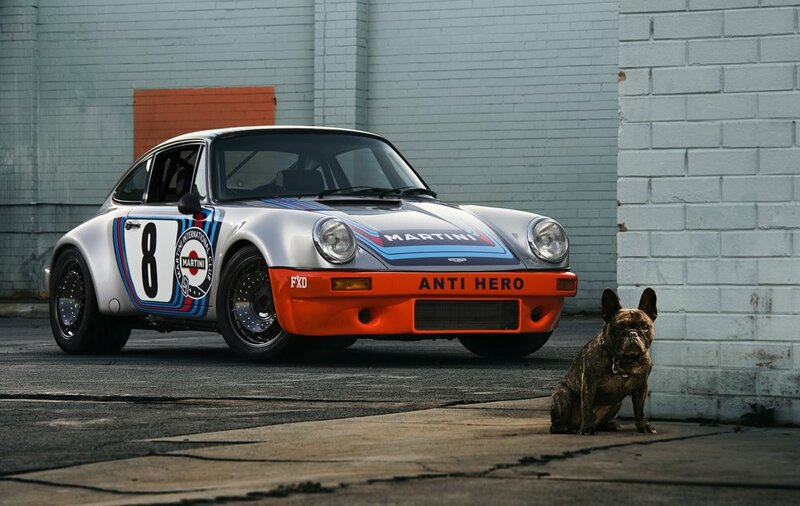 Has to be relevant to the period build of the 911 you have destroyed (purists sorted). The number 'Eight' from one of the famous 'Mary Stuart' RSRs proudly displayed on this beautiful Outlaw build. Brendan came up with the idea of retro fitting the BBS style wheel fans to his own race car, and we applied it to this outlaw. KTK spared no expense in pursuit of the perfect combination of street driving comfort, and track capability. Starting with a G-series shell - stripped out and lightened, the entire car was built with consideration to every aspect of performance. Von Shock coil-overs and Elephant Racing blade adjustable anti-roll bars, compliment 996 GT3 brakes and low stiction suspension bushes. The engine, a fresh KTK 3.8l with rally cams, gives impressive midrange performance, yet is still compliant enough when driving to work, thanks to a MoTec M84 ECU.